With faith we can move mountains. There is nothing that is impossible when we believe that God is able to do it. Faith in Jesus Christ requires that we completely rely on Him by trusting in His infinite love. Romans 10 vs. 17 So then faith cometh by hearing, and hearing by the word of God. Galatians 2 vs. 20 I am crucified with Christ: nevertheless I live; yet not I, but Christ liveth in me: and the life which I now live in the flesh I live by the faith of the Son of God, who loved me, and gave himself for me. James 1 vs. 6 But let him ask in faith, nothing wavering. For he that wavereth is like a wave of the sea driven with the wind and tossed. John 3 vs. 18 He that believeth on him is not condemned: but he that believeth not is condemned already, because he hath not believed in the name of the only begotten Son of God. John 6 vs. 35 And Jesus said unto them, I am the bread of life: he that cometh to me shall never hunger; and he that believeth on me shall never thirst. 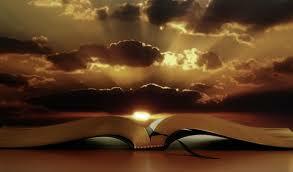 Mark 10 vs. 52 And Jesus said unto him, Go thy way; thy faith hath made thee whole. And immediately he received his sight, and followed Jesus in the way. Mark 11 vs.24 Therefore I say unto you, What things soever ye desire, when ye pray, believe that ye receive them, and ye shall have them. Romans 10 vs. 8-9 But what saith it? The word is nigh thee, even in thy mouth, and in thy heart: that is, the word of faith, which we preach; 9 That if thou shalt confess with thy mouth the Lord Jesus, and shalt believe in thine heart that God hath raised him from the dead, thou shalt be saved. 1 Timothy 6 vs. 11 But thou, O man of God, flee these things; and follow after righteousness, godliness, faith, love, patience, meekness. Romans 10 vs. 10-11 For with the heart man believeth unto righteousness; and with the mouth confession is made unto salvation.11 For the scripture saith, Whosoever believeth on him shall not be ashamed. Romans 14 vs.1 Him that is weak in the faith receive ye, but not to doubtful disputations. 1 Corinthians 13vs. 2 And though I have the gift of prophecy, and understand all mysteries, and all knowledge; and though I have all faith, so that I could remove mountains, and have not charity, I am nothing. Galatians 3 vs. 22-26 But the scripture hath concluded all under sin, that the promise by faith of Jesus Christ might be given to them that believe.23 But before faith came, we were kept under the law, shut up unto the faith which should afterwards be revealed.24 Wherefore the law was our schoolmaster to bring us unto Christ, that we might be justified by faith.25 But after that faith is come, we are no longer under a schoolmaster.26 For ye are all the children of God by faith in Christ Jesus. Mark 16 vs. 16-20 He that believeth and is baptized shall be saved; but he that believeth not shall be damned.17 And these signs shall follow them that believe; In my name shall they cast out devils; they shall speak with new tongues;18 They shall take up serpents; and if they drink any deadly thing, it shall not hurt them; they shall lay hands on the sick, and they shall recover.19 So then after the Lord had spoken unto them, he was received up into heaven, and sat on the right hand of God.20 And they went forth, and preached every where, the Lord working with them, and confirming the word with signs following. Amen. Hebrews 11 vs. 1-40 Now faith is the substance of things hoped for, the evidence of things not seen.2 For by it the elders obtained a good report.3 Through faith we understand that the worlds were framed by the word of God, so that things which are seen were not made of things which do appear.4 By faith Abel offered unto God a more excellent sacrifice than Cain, by which he obtained witness that he was righteous, God testifying of his gifts: and by it he being dead yet speaketh.5 By faith Enoch was translated that he should not see death; and was not found, because God had translated him: for before his translation he had this testimony, that he pleased God.6 But without faith it is impossible to please him: for he that cometh to God must believe that he is, and that he is a rewarder of them that diligently seek him.7 By faith Noah, being warned of God of things not seen as yet, moved with fear, prepared an ark to the saving of his house; by the which he condemned the world, and became heir of the righteousness which is by faith.8 By faith Abraham, when he was called to go out into a place which he should after receive for an inheritance, obeyed; and he went out, not knowing whither he went.9 By faith he sojourned in the land of promise, as in a strange country, dwelling in tabernacles with Isaac and Jacob, the heirs with him of the same promise:10 For he looked for a city which hath foundations, whose builder and maker is God.11 Through faith also Sara herself received strength to conceive seed, and was delivered of a child when she was past age, because she judged him faithful who had promised.12 Therefore sprang there even of one, and him as good as dead, so many as the stars of the sky in multitude, and as the sand which is by the sea shore innumerable.13 These all died in faith, not having received the promises, but having seen them afar off, and were persuaded of them, and embraced them, and confessed that they were strangers and pilgrims on the earth.14 For they that say such things declare plainly that they seek a country.15 And truly, if they had been mindful of that country from whence they came out, they might have had opportunity to have returned.16 But now they desire a better country, that is, an heavenly: wherefore God is not ashamed to be called their God: for he hath prepared for them a city.17 By faith Abraham, when he was tried, offered up Isaac: and he that had received the promises offered up his only begotten son,18 Of whom it was said, That in Isaac shall thy seed be called:19 Accounting that God was able to raise him up, even from the dead; from whence also he received him in a figure.20 By faith Isaac blessed Jacob and Esau concerning things to come.21 By faith Jacob, when he was a dying, blessed both the sons of Joseph; and worshipped, leaning upon the top of his staff.22 By faith Joseph, when he died, made mention of the departing of the children of Israel; and gave commandment concerning his bones.23 By faith Moses, when he was born, was hid three months of his parents, because they saw he was a proper child; and they were not afraid of the king’s commandment.24 By faith Moses, when he was come to years, refused to be called the son of Pharaoh’s daughter;25 Choosing rather to suffer affliction with the people of God, than to enjoy the pleasures of sin for a season;26 Esteeming the reproach of Christ greater riches than the treasures in Egypt: for he had respect unto the recompence of the reward.27 By faith he forsook Egypt, not fearing the wrath of the king: for he endured, as seeing him who is invisible.28 Through faith he kept the passover, and the sprinkling of blood, lest he that destroyed the firstborn should touch them.29 By faith they passed through the Red sea as by dry land: which the Egyptians assaying to do were drowned.30 By faith the walls of Jericho fell down, after they were compassed about seven days.31 By faith the harlot Rahab perished not with them that believed not, when she had received the spies with peace.32 And what shall I more say? for the time would fail me to tell of Gedeon, and of Barak, and of Samson, and of Jephthae; of David also, and Samuel, and of the prophets:33 Who through faith subdued kingdoms, wrought righteousness, obtained promises, stopped the mouths of lions.34 Quenched the violence of fire, escaped the edge of the sword, out of weakness were made strong, waxed valiant in fight, turned to flight the armies of the aliens.35 Women received their dead raised to life again: and others were tortured, not accepting deliverance; that they might obtain a better resurrection:36 And others had trial of cruel mockings and scourgings, yea, moreover of bonds and imprisonment:37 They were stoned, they were sawn asunder, were tempted, were slain with the sword: they wandered about in sheepskins and goatskins; being destitute, afflicted, tormented;38 (Of whom the world was not worthy:) they wandered in deserts, and in mountains, and in dens and caves of the earth.39 And these all, having obtained a good report through faith, received not the promise:40 God having provided some better thing for us, that they without us should not be made perfect. 1 Peter 1 vs. 7-9That the trial of your faith, being much more precious than of gold that perisheth, though it be tried with fire, might be found unto praise and honour and glory at the appearing of Jesus Christ:8 Whom having not seen, ye love; in whom, though now ye see him not, yet believing, ye rejoice with joy unspeakable and full of glory:9 Receiving the end of your faith, even the salvation of your souls. James 1 vs. 2-7 My brethren, count it all joy when ye fall into divers temptations;3 Knowing this, that the trying of your faith worketh patience.4 But let patience have her perfect work, that ye may be perfect and entire, wanting nothing.5 If any of you lack wisdom, let him ask of God, that giveth to all men liberally, and upbraideth not; and it shall be given him.6 But let him ask in faith, nothing wavering. For he that wavereth is like a wave of the sea driven with the wind and tossed.7 For let not that man think that he shall receive any thing of the Lord.